mYouth » See the Statistics behind the mYouth Project! 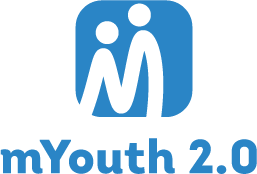 The mYouth Project (Mobile, Young, Opportunity, Unity, Technology, Help) was aimed at providing and developing innovative actions that will enable young individuals gain high skills, when it comes to mobile applications development that solve local issues for youth by providing them with decent employment opportunities. Coding is no longer a skill for professional programmers, nevertheless, the ability to code, like the ability to read and write, is becoming an essential part of fluency in today’s society. Knowing how to code clearly comes as a valuable job skill, as reports and indicators worldwide show that the number of jobs for programmers and computer scientists is growing rapidly. These skills will be very much desired further on in the future as many jobs of the future, still to be introduced in the world, would require it as invaluable asset. 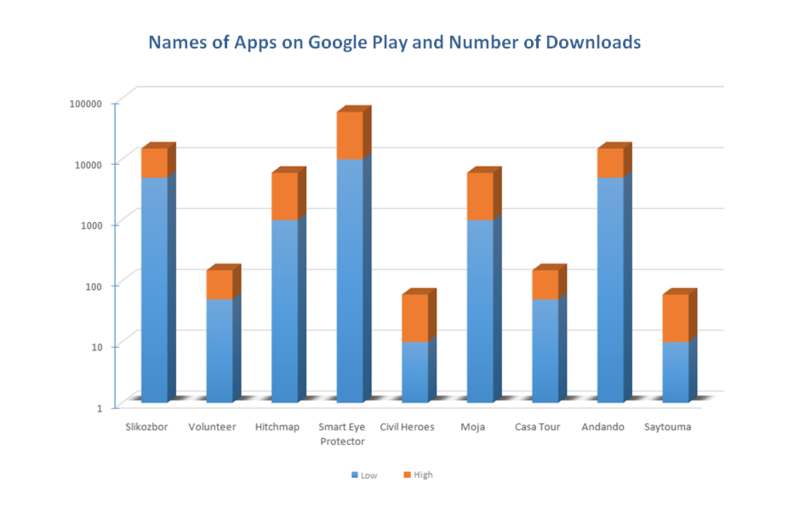 Google Play and iTunes downloads of the mYouth applications, etc. 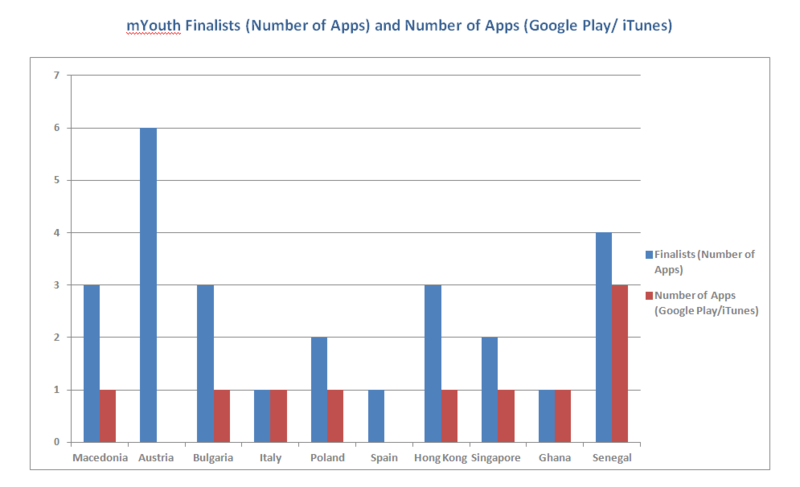 The finalists and wining applications per country are available at: http://myouth.eu/partners/. If you want to find out more about the project outcomes and results, visit this link. When it comes to the audience characteristics on the project Facebook page, it was interesting to note that in terms of gender the percent of female followers is slightly larger than those of male, witnessing the fact that females too are interested in the I.T. discipline. 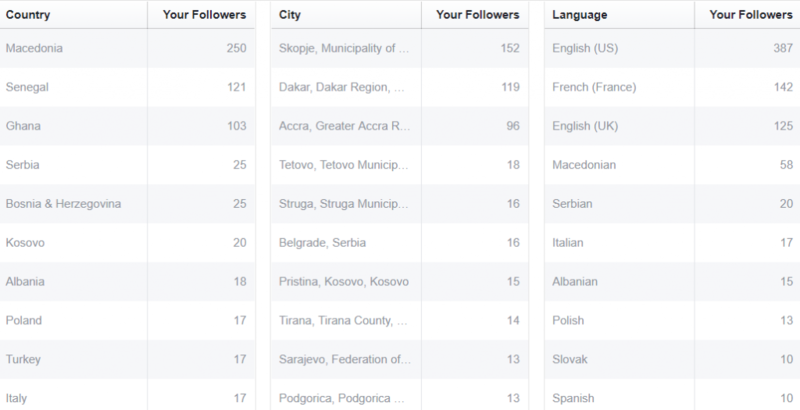 Moreover, here are also the top ten countries where the Facebook fans are coming from, their cities and the languages they use. During the mYouth project, many of the developed mobile apps came to available both on iTunes and Google Play. Here are some of the statistics on their digital presence and their number of downloads.